As she tidied up the papers, Isabel couldn’t resist taking a peek at what they contained. She closed the office door and read them carefully. It was shocking: what she had in her hands was a plan for a conspiracy to take control of the State. 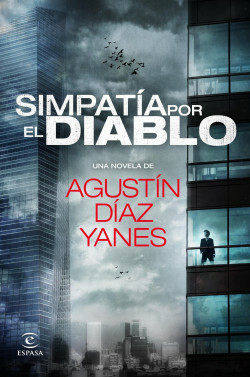 Fate converts Isabel, a secretary for the most important banker in the country, into a heroine who will set up a resistance network to struggle against the powerful interests of the world: corrupt politicians controlled by bankers at the bidding of shadowy interests willing to sell Spain to the highest bidder. An alternative but familiar Spain is the setting for this gripping game narrated in the inimitable style of one of the most idiosyncratic creators working today. A controversial and very contemporary subject: the connections and machinations of political and economic power. The famous director Agustín Díaz Yanes presents his first novel, an unsettling thriller set in an alternative but familiar Spain. During the adventures of a series of characters headed by an unlikely heroine, Isabel, a secretary working at one of the most important institutions in the country, the reader will witness the development of a thrilling political/economic plot. This is a story in the best traditions of spy novels, told in the author’s idiosyncratic style.